Last weekend, I was bored. One child had gone out with a friend, the other was doing homework and playing computer games, hubby also seemed content to play computer games and read. Now, the thing I can’t stand most is wasting time. Each day is a precious gift, and I make it my personal goal to do something useful or enjoyable with it (and ideally both!). So, realising that I was on my own, I looked for something to do. Money was low and weather was bad, so my options were limited. Then, through the wonders of facebook, I discovered a Bokwa aerobics class that was being run a couple of villages away. 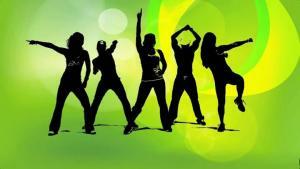 I have done Bokwa before but its not my first choice of fitness class, and I haven’t done it for a while. I decided to go along anyway. Learning Style ‘Fit’ – Bokwa (like most aerobics classes), appeals to three main learning styles: You see (and copy) the instructor; you hear her cues and descriptions; you do the steps (often ‘walking them through’ before doing them at full speed). Repetition – Each move is performed a number of times in succession. You don’t move on until people have ‘got it’. Consistency – Even though the teacher was new, the moves and terminology are ‘standard’. Motivation – the teacher ‘whooped’ and praised us for great steps – she added complexity for those who were ready for challenge, and showed a more basic version for those who were new. However, all were doing it, and all were pleased. Practice – even though I’m not a regular, I’ve clearly done enough to get the main steps hard-wired into my system: My feet just know what to do. I’ve moved through the conscious competence cycle (with the basic steps anyway) so that my ability is now ‘on-tap’. Are you truly appealing to every learning style as much as your could? Show and tell (or even discuss) simply will not result in a change of behaviour. Do you check that people have ‘got it’ before you move on? Does your programme include a core (that will be completed) and a flexible element (that may be covered) depending on the competence of people in the group? Are you using terminology that is a) correct for the topic (so people can look it up afterwards) and b) meaningful to the audience in terms of their own in-house environment and jargon? Can you flex the training to make it relevant for people levels of knowledge and experience, or is it a ‘one size fits all’? Are you showing people how they are progressing? Do delegates get chance to practice, practice, practice AND receive feedback of how they are getting on? Is the learning reinforced back in the workplace by managers who are willing and able to support them, until the skills are ‘hard wired’ into the delegates’ way of working and become natural? I’m pleased that when writing Power Hour Training Materials, we’ve done as much as WE can to help the trainer or organisation out. We use tried and tested methods and models that can be looked up and recognised in other programmes. We provide optional ‘drill deeper’ activities for those who are more experienced, OR to provide extra practice. We provide clear guidance about how to apply the learning back at work. All this in an hour, and all for £30! 1. Timing - Too early, and people will forget, too late and... well, it's too late! 2. Content - It is tempting to try and give all the content at once, but this causes overload. Its better to concentrate on the 20% of content that will cover 80% of requirements, make this mandatory, and then cover the other 80% later as a masterclass. 3. Synergy - Providing training that isn't directly related to the job or the company priority has limited impact. People are just too focussed on the day to day demands of the role. If the link isn't clear, DNA rates will be high! 4. Method - Too much training is still all about download, whether its in a classroom or online. People need to be actively engaged in training for it to stick. Using a variety of methods appealing to different learning styles, and keeping it active is vital. 5. 'Fit' - Similar to synergy and method, the training has to feel right and be easy to understand and use. Training that feels too far removed from the daily reality will be dismissed. If you buy in generic training, deliver it yourself, or use a trainer who knows your business so that they can tailor the content to fit. using examples about office behaviour is pointless if your audience works in a warehouse for example. 6. Assessment - Just because some has attended doesn't mean they've understood. Just because they understand doesn't mean they can DO. Checks should be built in to measure learning (in a positive way) to provide extra help for people who don't get it first time, or simply need longer to learn. 7. Application - What gets measured gets done. Perhaps the biggest problem I see is complete lack of follow up in the workplace. It doesn't matter what trainers say - what managers say/want is what gets done, so unless people are expected to apply learning back at work, they often won't. 8. Separation - Training is often seen as something separate to work, and an additional task. Encouraging informal as well as formal training helps to incorporate learning into everyday operations. Develop managers as trainers and coaches and (most importantly) allow them time to train and coach on the job! I'm sure you can come up with another 2 reasons to make this a 'Top Ten'. 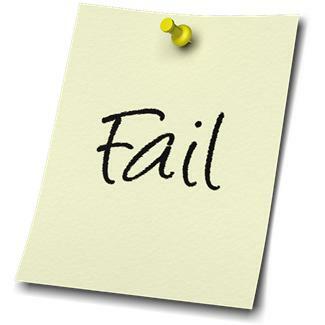 Take steps to avoid these common mistakes and get the most out of your L&D effort this year!